A name for your business is just the start. 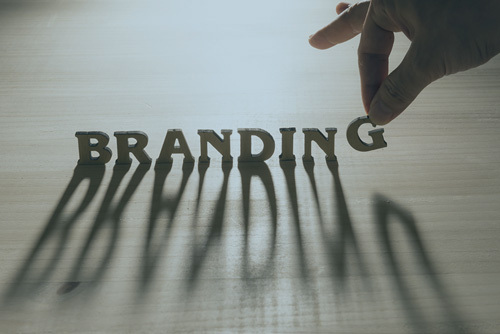 We’ll create a strong and lasting brand identity. Why is your startup’s graphic design so important? It’s simple – your brand can open doors for you. With your input, the designers and marketing experts at Initialize Biz will create a strong and lasting brand identity that makes a powerful impression – the first time, and every time. Good logos should be unique and comprehensible to potential customers. Although there are myriad choices for colour, visual elements and typography, in general a logo should help convey some information about the company, or be designed in a way that gives some sense of meaning about the company or its industry. We will design a comprehensive custom logo that represents the brand across a wide range of media. All logo files will be provided as .eps, .jpeg, .png files in Pantone and CMYK Colours for use in print, and RGB Colours for use on screen. The logo files will include various options if relevant e.g. full colour option, single colour option, black and white options all to be used in various different design scenarios. Prior to commencement of design, we will request that you fill out a detailed logo design questionnaire. The more information you provide us, the better. Will present you with one version of the logo for your comments. Thereafter, three (3) rounds of changes are included in this proposal. On finalization of the design, we will present you with the logo in various forms as described above. A business card is the most effective direct marketing tool. A meeting gets sealed with a handshake along with a business card exchange. You can encounter a potential lead or contact at any time — tradeshows, industry conferences, happy hour, airport lounges — and arming yourself with business cards at all times will ensure that you never miss an opportunity to make a valuable business connection. Keep some in your pockets, wallet, money clip or laptop bag so the next time you encounter a prospect you are prepared. Prior to commencement of design, we will request that you fill out a detailed design questionnaire. The more information you provide us, the better. Will present you with one version of the business card for your comments. Thereafter, three (3) rounds of changes are included. On finalization of the design, we will sent it for print. A letterhead is as important as a brand, in that it represents a company and can impart a first impression to its potential customers. Therefore, a letterhead must look professional, otherwise people might assume the business is less competent and not one they want to have any dealings with. Working with a professional graphic designer will ensure that a company gets the letterhead that they deserve. Will present you with one version of the letterhead for your comments. Thereafter, three (3) rounds of changes are included. On finalization of the design, we will present you with the letterhead files ready for print. Make sure your branding is reflected on everything your customers receive from you. If you want to get your mail opened when it arrives, make sure it really looks like it came from you. Folder with 8 Page brochure. Where will you host my email? It’s the best choice for a small business. See article. Is there a monthly cost for domain email? Yes, $5 per month for each additional address. How many email accounts do I get for this price? One of your name, and you can add for free name like service@ support@ info@ etc. Why do I need the email setup now and should go just with a free Gmail account? The monthly cost is only $5 and it makes a huge difference on the perfusion image of your company. Plus you have a 30 day to decide if you want to keep it without a credit card on file, so if you decide not to go for it you do not add any billing information the service will be suspended and you will not be charged. How many logo revisions will I get? Our process is really simple. You will fill out our simple online brand questionnaire, which will help us to give us details we need to create your logo. After the initial concept logo, you will have the opportunity for 2 revisions. How many business card and letterhead revisions will I get? business cards and letterhead. After the initial designs, you will have the opportunity for 2 revisions.